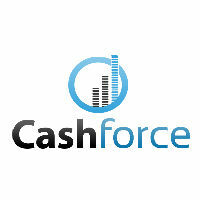 Cashforce is a smart cash flow management and cash flow forecasting platform for working capital intensive businesses. Our technology is helping Finance departments save time and money by offering cash visibility & pro-active cash saving insights. CFOs and Finance departments can drill down to the cash flow drivers and smart algorithms are applied providing pro-active optimization actions. 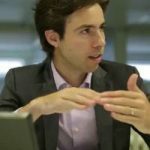 An intelligent simulation engine enables companies to consider multiple scenarios and measure their impact. As a result, finance departments can be turned into business catalysts for cash generation opportunities throughout the company. Cashforce is unique because it offers full transparency into what exactly drives the cash flow of complex (multinational, multi-bank, multi-currency, complex ERP(s)) enterprises, typically with revenues between € 50 million and € 10 billion. It is the first cash management platform that builds a bridge between the treasury department and the actual business departments such as sales, logistics and purchasing. Unlike other enterprise software players, the Cashforce platform can be piloted within a few hours in complex environments, seamlessly connecting with any ERP system. Currently users in over 40 countries are using our platform to streamline their cash management processes. Cashforce has proven its value in various complex environments, including environments where in-house banking, cash pooling, POBO, ROBO, etc. are used. Cashforce is headquartered in Belgium with an office in New York City, serving customers such as Hyundai, Portucel, Alcadis among many others worldwide.